I was once a leader of a Three-Self church. Seeing the pastors and elders scrambled for fame and gain, I was very disappointed with them and my faith and love gradually grew cold. Later, Almighty God’s work of the last days was preached to me. Through a period of investigation, I felt the work and guidance of the Holy Spirit and recovered the faith and love I had at the start. 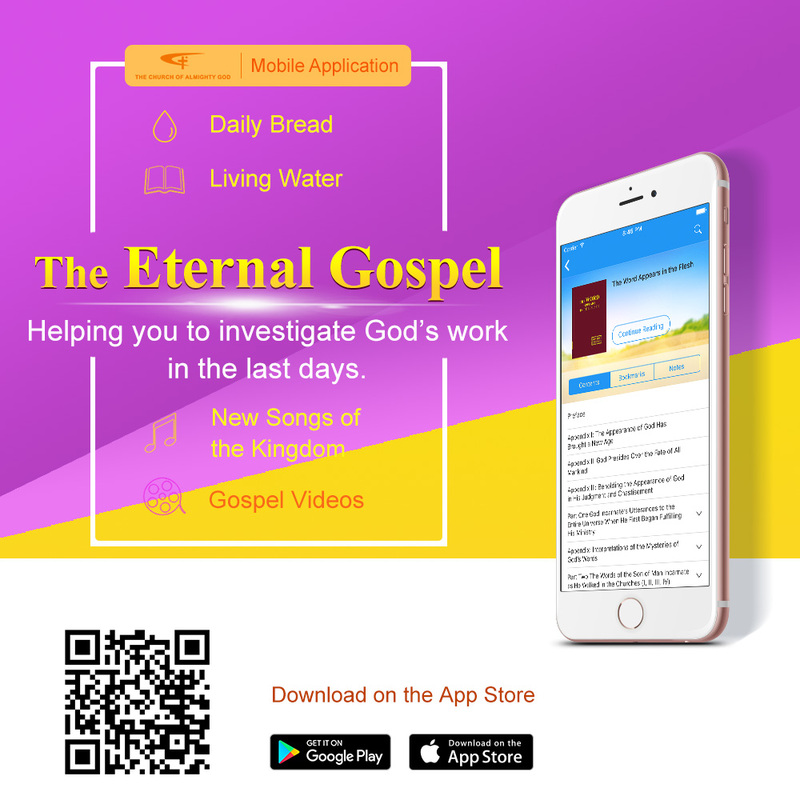 I was fully convinced of Almighty God’s work of the last days, and began to read His words hungrily and have meetings with my brothers and sisters in the Church of Almighty God. However, just then, I unexpectedly encountered the disturbances and sieges of the leaders and fellow believers in the Three-Self Church. In my bewilderment and confusion, it was Almighty God’s words that led me to overcome the temptations and disturbances of Satan, made me see clearly Satan’s ugly face and evil nature, and strengthened my faith in following Him to the very end. One day soon after, Mr. Sun came to my house on his motor tricycle. Upon entering my room, he said to me excitedly, “Brother, I have some good news for you. The director of the Religious Affairs Bureau told me that he wanted to talk to you. He asked you to go back to the church and continue to serve as the leader, and he promised to pay you a salary. He personally told me that. Once you agree and call him, it is done. Where would you find such a good opportunity?” At his words, I said to myself, “Today the director sent him to persuade me; it shows that he thinks highly of me. He remembers me and asks me to go back to work as the leader with salary; this will bring me both fame and gain. If I agree, I’ll have a guaranteed livelihood and be financially secure in my old age. That is what I have been expecting these years.” But then I thought, “If I go back to the Three-Self church, won’t I resume a life of struggling for fame and gain? Won’t I suffer the exclusion of the pastors and elders once again? Have I not suffered that enough? Besides, if I go back, it means that I have rejected God’s name and work and have given up the true way for the sake of fame and gain.” So I said to Sun, “I have retired from that position; I won’t go back. Thanks for your kindness.” He said anxiously, “Think it over again. Do not miss such a good opportunity. I’ll come in several days.” After Sun left, I was troubled: One way is to continue to follow Almighty God and endure the rejection of the religious people, the exclusion of the world, and the persecution of the government…. The other way is to have fame and gain and position as well as an assured life in my later years. What should I choose? Just then Sun returned. At the sight of my hesitation, he said loudly to me, “You can’t miss such a good opportunity!” I hovered. Then the words in a hymn occurred to me: “That which you are enjoying today is the very thing which is ruining your future, whereas the pain you are suffering today is the very thing that is protecting you. You must be clearly aware of that so as to keep away from the hook of temptation and to avoid entering the dense fog that blocks out the sun. When the dense fog clears off, you will find yourself in the judgment of the great day” (“Enjoying Fleshly Comforts Will Ruin Your Future” in Follow the Lamb and Sing New Songs). God’s enlightenment made me realize that the material enjoyments I pursued would only ruin my life and cause me to end up being completely eliminated by God. At the time, I thought, “Why didn’t the Pharisees accept the gospel of the Lord Jesus? Wasn’t it because of their pursuit of fame and gain, position, and the enjoyments of the flesh that they rejected the redemptive work of the Lord Jesus and were cursed by God in the end? Satan’s scheme is really sinister! If I take a wrong path today, I will surely be eliminated by God. It is so horrible!” Then I refused Sun on the excuse of my old age and poor health. 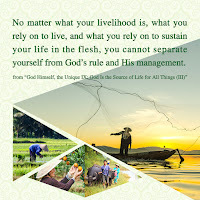 Afterward, I read these words of God: “In every step of work that God does within people, externally it appears to be interactions between people, as if born of human arrangements, or from human interference. But behind the scenes, every step of work, and everything that happens, is a wager made by Satan before God, and requires people to stand firm in their testimony to God. Take when Job was tried, for example: Behind the scenes, Satan was making a bet with God, and what happened to Job was the deeds of men, and the interference of men. Behind every step that God does in you is Satan’s wager with God—behind it all is a battle” (“Only Loving God Is Truly Believing in God” in The Word Appears in the Flesh). At the moment, I understood more clearly: The disturbances that have come upon me are all spiritual battles, and they are Satan’s accusations against me and also the sinister means Satan uses to plunder me. Its purpose is to try every way to make me reject the true way and deny God’s work and thus live under its domain again. I thought, “All that have happened to me during this period of time, whether Song’s disturbance, time after time of persuasion of the clerics and fellow believers in the church, or the director’s enticement of benefit, are actually despicable means Satan uses to deceive me. Satan is so hateful. It has been eyeing me greedily and trying every possible means to make me stray away from God and betray God and return to its camp.” The disclosure and guidance of God’s words enabled me to see through Satan’s schemes. I was resolved to stand testimony and firmly follow God to the end no matter what contemptible means they would use to disturb me in the future. So when Sun came and tried to persuade me again, I declined. From then on, they no longer came to interfere with me. I knew God had triumphed and that Satan had failed in humiliation. Thank God for leading me out of the sieges of Satan step by step. All the glory be to Almighty God!